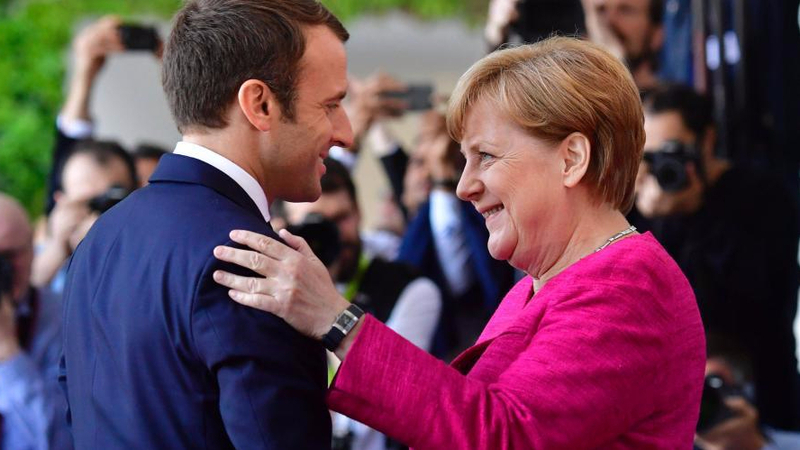 During the visit to Berlin German Chancellor Angela Merkel and French President Emmanuel Macron agreed to draw a roadmap to deeper European Union integration and opened the door to changing the EU27 treaties to facilitate ambitious reforms. 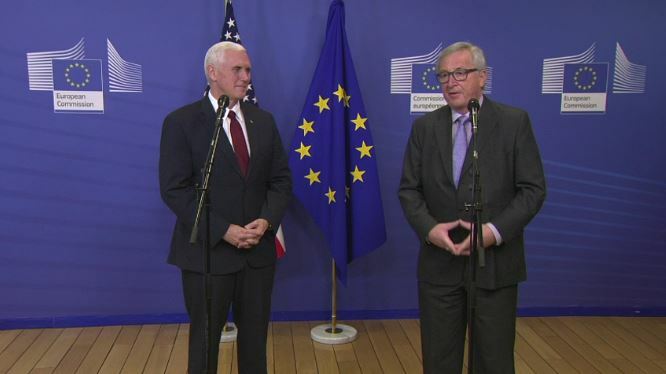 A day after Macron’s inauguration, the two leaders gave press-conference in Berlin after talks in which they sought to reinvigorate the Franco-German relationship and the European project that has been damaged by Brexit. Merkel said that Germany needs France to succeed, underlining that “Europe will only do well if there is a strong France”. “We agreed that we want to develop a road map for the European Union’s medium-term perspectives,” she said in a joint news conference with Macron. @markantro Just like Marine LePen said to Macron "a woman will lead France and it will be either me or Mrs Merkel" the French chose Merkel. Again RIP.